The West has watched China’s development with growing apprehension. Emerging inequalities, rural poverty, pollution and other ‘side-effects’ of rapid industrialisation have yet to be fully examined. Central planning has now given way to a proliferation of neo-liberal strategies and it is time to count its true contribution, within China and to the world, as well as the costs. 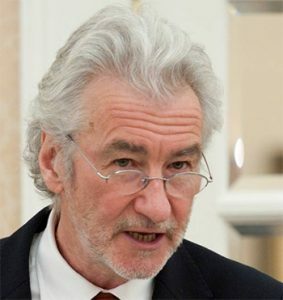 Author of several books on China, including ‘China at the Crossroads’ (2003) and ‘Transforming China: Globalisation’, ‘Transition and Development’ (2004). 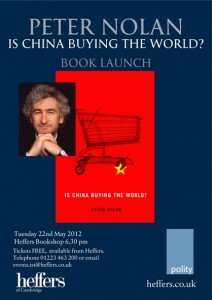 Peter Nolan is Sinyi Professor of Chinese Management and Chair of the University of Cambridge’s Development Studies Committee. The Financial Times commented in a 2000 report: “Peter Nolan knows more about Chinese companies and their international competition than anyone else on earth, including in China”.